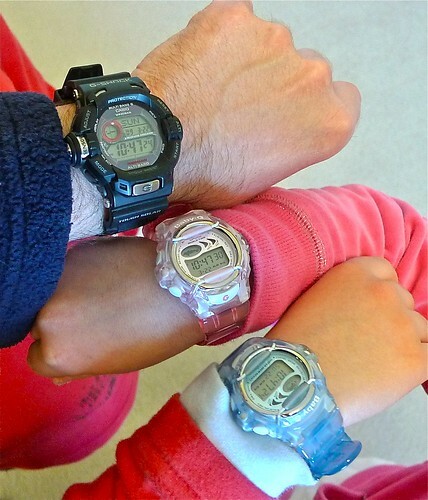 Me and my daughters getting ready for a Sunday walk. 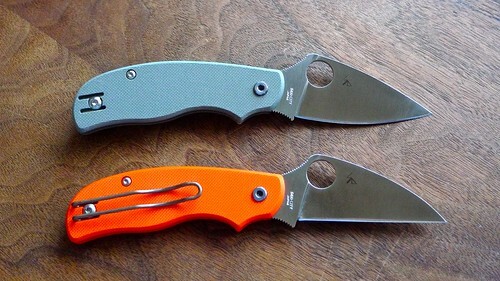 Much anticipated, these blades are little-big, G-10 scales, reverse clip, go-anywhere, and also… my namesake. 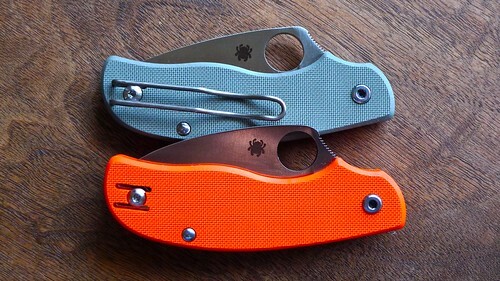 I give you the Spyderco Urbans. I do not regularly carry slipjoints, but I can see one of these replacing my Pride model on certain business trips where locks are not welcome. 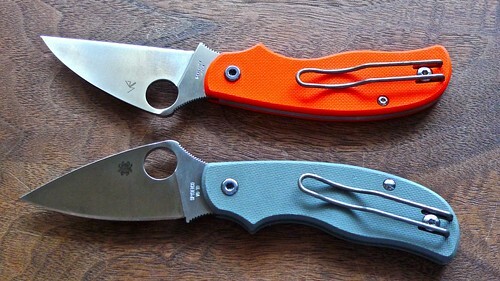 I had to get both, as the Wharncliffe version is my favorite blade shape and the leaf version is slightly more versatile. 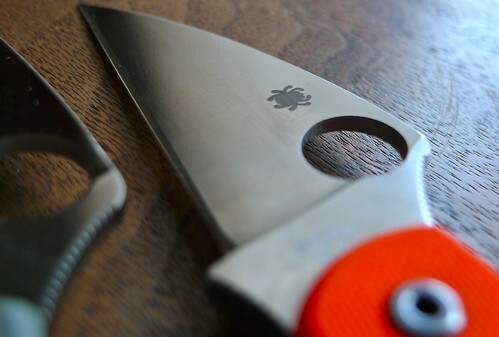 The slip lock is nice and stiff, and interestingly the wharni version is even stiffer to close than the leaf blade. The lock makes them much more secure than, for example, the T-Mag, and therefore suitable to 90% of what I need to use a knife for during the day. But lets face it, slipjoints are a compromise compared to a locking folder. 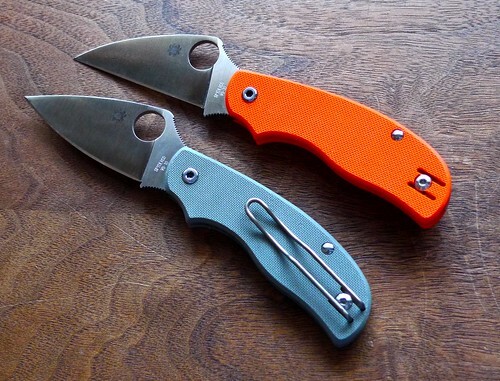 The Urban is Spyderco’s way to address changing laws and changing market dynamics. Honestly, I can’t really imagine an officer looking at this knife any differently than one of my locking Spyderco’s, but a JUDGE would. And I suppose that’s what this is all about. Personally, I will likely more often reach for my CF Caly3 or FRN models before the Urban, but I do intend to take it on some trips to big cites and international destinations where it could keep me out of magisterial trouble. 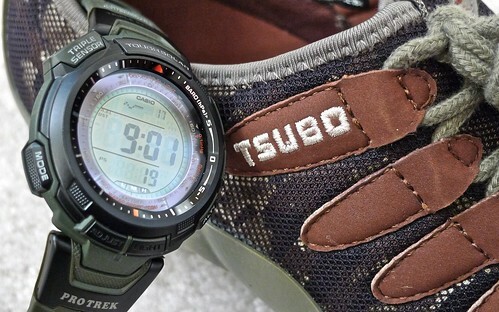 In all, happy I got them, but for average folks they may want to wait for a cheaper FRN version.